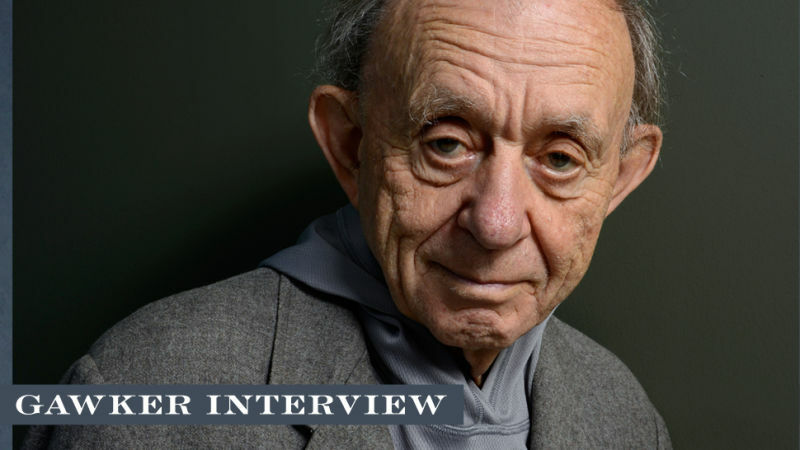 Frederick Wiseman is a master of the art of documentary. Since 1967’s sensational Titicut Follies, the 83-year-old has made films, focused on American institutions, that don’t use narration, interviews, or identifying chyrons to tell their stories. These stories, in fact, are only implicitly narrative. They are often associative assemblages of scenes that favor portrayal over dictation. They are also often very long. His 40th feature, At Berkeley (out today in New York and select markets), distills three months of shooting that resulted in 250 hours of footage into an over four-hour portrait of campus life at the University of California at Berkeley in 2010. We see scenes of class discussions on race and astrophysics, administrative meetings, quiet shots of the campus, a tearful admission of tuition stress from one student, and demonstrations regarding the cost of education from several more. 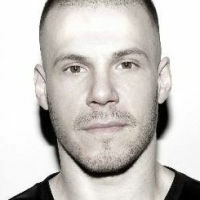 It took Wiseman 14 months to craft his footage into a film. This week, he gave me some of his precious time and spoke to me by phone from France (where he now lives) about his process. He was sharp and direct. The brevity of his answers surprised me given the length of so many of his scenes. Our discussion has been lightly edited and hopefully reflects the fairness that Wiseman aims for when portraying his own subjects. Gawker: You’ve been filming young people for decades [High School was released in 1968]. Have you noticed young people becoming more comfortable in front of the camera, because of the proliferation of cell phones? Wiseman: Not really. It was easy 40 years ago and it’s easy now. Not in my experience. It’s never been a problem. I’m not sure I understand why it’s never been a problem, but it’s never been a problem. In my experience, it’s very easy to talk to strangers about nothing as long as you ask them questions about themselves. People are flattered by interest. I think certainly vanity has something to do with it. You could make the argument for both vanity and indifference. My experience is absolutely no difference between making film now and 40 years ago, in the sense that it’s rare that anybody says no, and you can still get really interesting material. Yeah. One thing I love about your moves is that they’re always, to me at least, about more than what they seem to be about. I’m glad to hear you say that because that’s what I think, too. You included a monologue from Our Town in At Berkeley regarding time capsules. The actor could have been discussing your movies. They are time capsules. Right. That thought did occur to me. Did you include that because it aligns with your values? I liked the sequence from Our Town, but I thought it would be fun and funny to use it, for a variety of reasons, one of which was what you said. There exists a cultural belief that our attention spans are getting shorter, and yet your movies have gotten longer. I hope that doesn’t prevent people from watching them. I always resist—I try to resist it in the movies as well, but—making cultural generalizations because I don’t know how to make them. So it may well be that people’s attention spans are shorter than before, but it’s not anything I would say because I just feel I don’t know how to inform myself about that issue. I mean, I know that it’s said, but I can only speak for myself. My attention span is not short. I think of your movies as often confrontational, even when they’re not aggressive, and in fact, them not being aggressive a lot of the time is something confrontational. They confront me with what I expect from a movie and challenge those expectations. Is it fair to call you confrontational? I don’t set out to be confrontational, but I think sometimes the content of the movie runs against people’s expectations and fantasies about the subject matter. And in that sense, it’s confrontational. Because I sometimes don’t confirm someone’s fantasy about the subject matter. I think it’s also interesting to confront people with the actual pacing of life and to not spoon feed it—to have a conversation that may go on for what feels like too long to the attention span of a 90-minute-moviegoer. I feel a very strong obligation, when I cut some of those who talk—I mean, the meetings at Berkeley or some of the classes—I obviously don’t want it to be boring. But at the same time I want it to be fair to the participants. When I’m reducing an hour-and-a-half class to six minutes, that six minutes is usually not a consecutive six minutes, it’s six minutes assembled from all over: 20 seconds here, 30 second there, a minute there, et cetera, but made to appear as if it took place the way you’re watching it. I want the form in which it’s edited, to be fair to the participants and to the original sequence. To the original unphotographed, unrecorded event. And what constitutes fair is always my judgment as to what constitutes fair. But it’s something I try to be aware of and alert to. And that word, “fair,” is one that you use quite frequently to describe your work. It’s kind of your ethos. Right. Right. It’s obviously impossible to be objective. It’s a non-argument because every aspect of making a movie represents a choice, and of course in making a movie, I haven’t ever done the math and I wouldn’t know how to do the math, but there are millions of choices. And so nobody else would make the same choices. I might not even make the same choices I might not even make the same choices in different years. So the objectivity argument is a waste of time. But what I have to do in order to use a sequence is initially identify what’s going on among the participants, in general, in the sequence. And then I have to be sure, once I’ve identified that, that the part that I use doesn’t distort my understanding of what’s going on. Because you can edit something, edit almost any sequence, and make a fool of somebody, for example. But unless they make fools of themselves, I don’t want to twist the sequence, or twist it in the way I edit it, to make fools of them. Ultimately, I’ll make a fool of myself by doing that. Is there such thing as nonfiction? I know you also like the term “reality fiction” to describe your work. I coined that once as a joke because somebody was going on about fly-on-the-wall, cinema vérité, it was just originally a straight-faced joke and it got picked up. But, like all jokes, there’s something to it, in the sense that movies are based on unstaged real events, but the way they’re edited and the order in which they’re put resembles the construction of a novel or play. Do you think it’s a failure that more people don’t represent themselves like that? This is something that’s taken for granted all the time when we watch a documentary. What, that it’s the truth? No, that it’s not the truth. That it’s been constructed. No, you’re right! It seems to me it should be taken for granted. Because it’s the filmmaker’s version of his truth. But the truth is much too pretentious a term. The New York Times wrote this about At Berkeley: “The filmmaker said he struggled over whether to include one lecture about dark energy, which he could not make heads or tails of... Ultimately, he saw a value in the experience of disorientation, recalling how he, in Deaf, did not subtitle sign language.” What is the value of disorientation? Well, I don’t know if it’s a value in disorientation, but, for example, never having studied astrophysics I really don’t understand it. I have only the vaguest sense of what’s going on in that sequence. On the other hand, the astrophysics department, the physics department at Berkeley, is one of the best in the world. So I wanted to show some of that quality. The fact that I don’t understand it doesn’t mean everybody won’t understand it, because there will be some people that understand it. But, similarly, there may be some people who don’t understand the analysis of a poem by John Donne. Another thing that I like about watching your movies is that I can go back and forth between appreciating something for what it is, something I will never understand and must accept at face value, and the deeper understanding that comes from the stuff that does resonate with me. Right! Right. That’s exactly—yeah. You got it. Has aging affected your stamina? Well, so far so good. I recognize that I’m no longer an adolescent, but I’m in pretty good shape. I deliberately keep in good shape. I exercise a lot, and I’m careful about what I eat, and careful about my weight, because I know… Not only is it good for my health in general, but I know that if I’m not in shape I can’t make new movies! Because when you make the movies you’re, you know, I’m on my feet 12, 14 hours a day, carrying equipment, and having to be reasonably alert. So if I’m not in shape, I can’t do it. When you put these movies together it seems like you’re working like an artist, right? You’re going from your gut, right? Is it fair to call you an artist? It’s not a characterization that I would object to. On the one hand, it’s very non-rational, maybe irrational, but certainly non-rational, on the other hand extremely deductive. I’ve learned to pay attention to the thoughts at the fringe of my head while I’m working. Or even when I’m not working. Because sometimes the best ideas are there. But at the same time it’s an extremely rational process, because I have to constantly ask myself the question: “Why?” And I have to answer the question. You know, why does somebody ask for a cigarette at a particular moment? Why do they turn left rather than right? What’s the significance of the clothes they’re wearing? Why do they choose the words they do? What’s the relationship of tone of voice to expression? What’s being left unsaid? Those are all interesting questions, but those questions and their answers have absolutely nothing to do with the technical aspects of filmmaking. They have to do with an attempt to analyze and understand behavior — my own behavior and other people’s behavior. Every once in a while, in the highbrow discussions of reality TV, your name will come up. What do you think about that? Ugg. Ugg. I think I watched what’s called “reality TV” once for about 20 seconds, and it just seemed to me, from my point of view, it had absolutely nothing to do with what I do. I guess one carryover truth is the editing aspect — how much of that is visibly shaping what’s happening. But that’s the amazing thing. Anybody who thinks that everything isn’t edited, they don’t know anything about the process! I mean, sometimes you can create the illusion for 20 seconds, but it’s never more than, longer than that that took place that way. There’s no editing. But if somebody feels that, either it’s a compliment to the film or they don’t know anything about film editing. Maybe it’s expressed a little but more cynically on reality TV, but I do think that maybe a carryover in terms of philosophy is that humans are inherently fascinating. You believe that, right? Yes. That’s certainly true, but it also depends on your attitude toward other people and what constitutes fascination for you. And I always think that that should be...The answer has to be three-dimensional. What reality does in a big way is, sort of trivializes people and turns them into freakshows. What little of it I’ve seen seems to be utterly contemptuous. No, actually. I’ve never heard that. I don’t know. It doesn’t mean that somebody’s never felt it. But no one’s ever said it to me. What’s the greatest compliment you’ve ever gotten about your work? I guess what I like is people who compare it to novels. Because I compare it to novels. I think I’ve learned more about how to put a movie together from books that I’ve read than movies that I’ve seen.